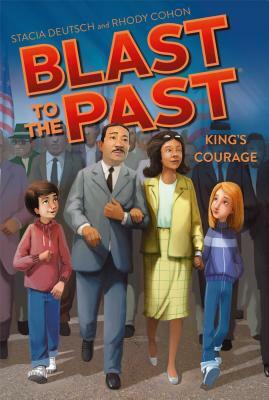 The Blast to the Past gang gets the chance to impact civil rights when they meet Dr. Martin Luther King, Jr. and give him their vote of confidence. It’s another exciting Monday for Abigail, Zack, Jacob, and Bo—they are going to jump back to the past to meet Dr. Martin Luther King, Jr.! The kids need to convince Dr. King not to get discouraged and to lead one of his famous voting rights marches. And they’ve got to do it with the twins’ baby brother, Gabe, in tow!